Berrimilla is the local Aboriginal name for the Blue Kingfisher found all along the New South Wales coast (Australia). 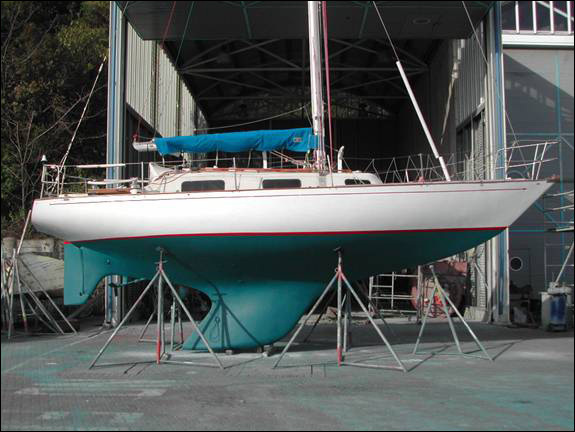 Berrimilla II is a Brolga 33, designed by Australian Peter Joubert and launched in 1977. 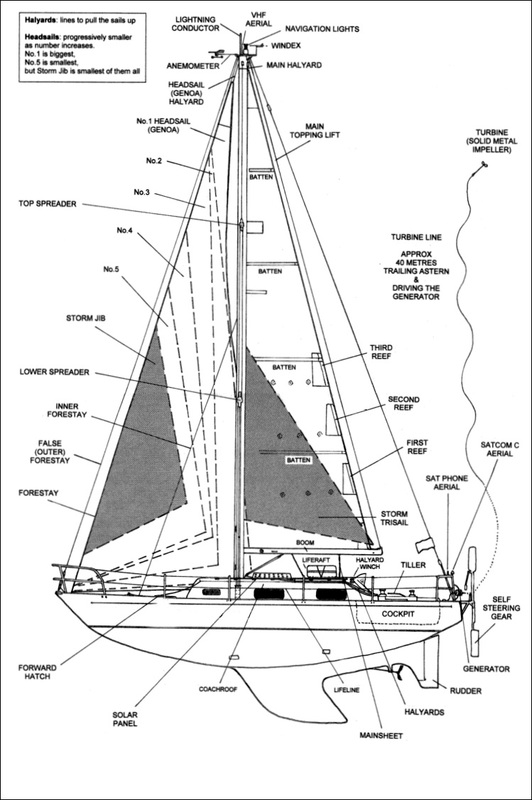 She has a deep fin keel, with fully encapsulated lead ballast and a skeg-hung rudder. Joubert’s boats have a reputation for extreme toughness and seaworthiness and Berrimilla is very strong, heavily built and seaworthy and we have sailed her through some atrocious weather. Her stability index is 141.6 and her calculated limit of positive stability is 135.4 degrees. Both of these are very much higher than most modern boats and quite reassuring in big breaking waves. Berrimilla was designed in 1965 and is a dinosaur compared to modern boats. 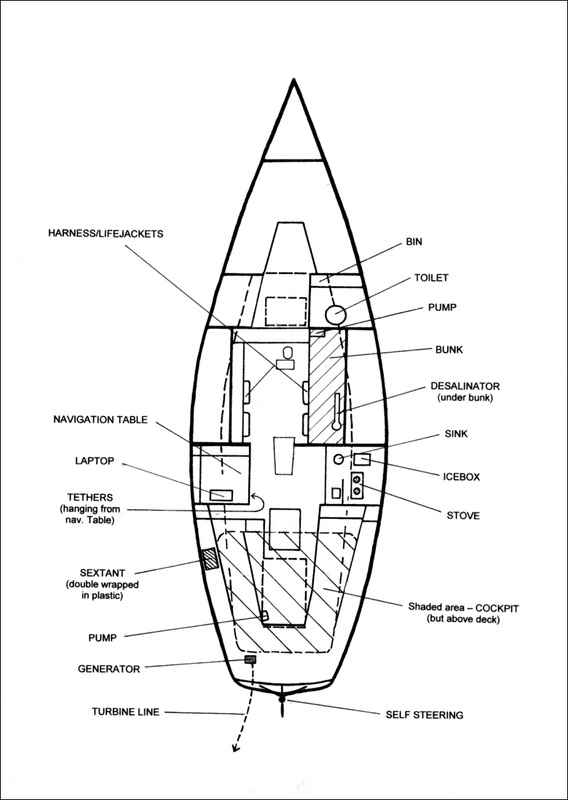 She has a displacement hull shape and is heavy and slow but very strong and seaworthy. Alex bought her believing that she could be sailed almost anywhere with the right preparation and crew. Nevertheless, she is a tiny boat in which to undertake a circumnavigation south of the Great Capes.